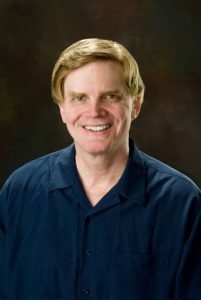 George Thomas Clark is the author of The Bold Investor, Hitler Here, an internationally-acclaimed biographical novel, In Other Hands, Paint it Blue, Death in the Ring, Obama on Edge, Echoes from Saddam Hussein, and Tales of Romance. King Donald will be released in late 2016. In addition to writing, Clark follows the news and sports, exercises daily (albeit delicately), collects contemporary art, enjoys independent movies, and travels to places (most recently Madrid, Mexico City, Quito, Guanajuato, and Aguascalientes) where he can socialize in Spanish. Personal experiences and observations as well as events in the news move me to write. Every morning I get up anxious to write. To warm up, I exercise on the treadmill and shower and shave, and eat breakfast rapidly so I can get to work on something I’ve generally studied or outlined the night before. I always listen to my characters and sometimes talk to them. Since they’re usually active, I don’t have to say much. Write at least five days a week. If you aren’t working a lot, then your mind will bedevil you, demanding creative effort. Advances in technology have made it possible to realize my lifelong goal of publishing my work in trade paperbacks and ebooks and on my website. Ebooks will continue to represent a larger share of the market. A reading tablet, weighing less than one large book, can carry hundreds of books, or more, and type size and lighting can be adjusted. This is reading heaven. Traditional books will continue to be popular, but in twenty years more than half of all books will be ebooks.